The vital objective of this report is to analysis Marketing Effectiveness of Marico Bangladesh. General objective of this report is to be a leader in each of our businesses through heightened sensitivity to consumer needs, setting up of new standard sin the delivery and quality of products and services and processes of continuous learning and improvement. Finally this report make swot analysis Marketing Effectiveness of Marico Bangladesh. In the current challenging macro economic environment, few FMCG are seeing down trading by consumers. However, as majority of products of Marico are items of daily consumption, the pressure may not be as severe. Also, a failure of monsoon may play a spoil sport. Discretionary spending in services like Kaya may witness some slowdown. The margin outlook for most FMCG companies have improved for the better, the benefits of which are expected to be deployed in building existing brands and in establishing new ones as outlined by Marico. Marico reported a healthy top line growth 16.8% on consolidated basis to Rs 696.7 crores. The growth was led by strong expansion in volumes which witnessed a growth of 14% and 3% price led growth. This is in sharp contrast to the trend witnessed few quarters back where the value growth outpaced the volume growth which was mainly led by price increase. The strong performance during the quarter is mainly led by roust growth in international business and margin expansion due to lower input costs. PAT grew by 26.7% YoYo to Rs 58.6 crores. Excluding one time exceptional item on account of divestment of Sundari, the PAT would have grown by 37 % YoYo. Fastest Growing FMCG company in Bangladesh Marico Bangladesh Limited (MBL) holds a leadership position in the FMCG space. MBL is the subsidiary of Marico Limited, India (Marico). MBL’s Products in Pure Coconut oil, Hair care and Skin Care reach out to more than 450,000,outlets in Bangladesh, MBL generated a turnover of about Tk. 2650 Million (about USD 38.4 Million) during 2007-08. MBL markets well-known brands such as Parachute, Aromatic, Camelia, Hair Code and Beliphool to name a few, most of which enjoy leadership positions (No. 1 in coconut oil segment), with significant market shares in respective categories. Ranked 6th most trusted brand out 849 brands across the category by Bangladesh Brand Forum in 2008, Parachute holds 73% market share in coconut hair oil. One in every three Bangladeshi is a MBL consumer, while over 9.25 Million consumer packs from Marico reach to consumers every month. Marico Bangladesh Limited (MBL) has tripled its turnover in 3 years, and achieved what very few FMCG companies would have been able to pull off-37.71% compounded annual growth over past 8 years. How did they achieve this? By looking beyond the traditional FMCG space and seeking focused avenues for growth. Transforming consumers from non-branded to branded coconut oil offering purity. From a small player to a 3rd largest FMCG multinational company. Focus not just on organic growth but also in-organic growth. At the same time, our flagship brand ‘Parachute’ continued to grow year on year, providing a firm foundation for our growth .While Parachute has been successful in growing the market leading with 72% market share, becoming 6th best brand out of 849 brands country wide among local &MNC brands. Our large investment in brand building, 360 degree approach in marketing and expansion in distribution too has contributed rapid growth. Today Marico Bangladesh Limited has emerged as the fastest growing vestment in brand building, 360 degree approach in marketing and expansion in distribution too has contributed FMCG Company. Our approach to the market with uncommon sense has helped us challenge the norm to push the boundaries of our existing businesses and set up new ones. Over the past 17 years, Marico has been continually improvising, building new brands. It has created new categories and dominated markets with new products., Our large shares close to a 100%. Having moved up from products to services, Marico has now taken its brands to 24 countries worldwide, building a powerful franchise of 13 crore loyal consumers. Investments in brand building have enabled these brands to occupy the top positions in their respective categories, all the while allowing new brands to be continually developed. During this period, Marico has progressed from being a largely industrial enterprise to a more consumer-focused entity, creating enduring value for its consumers through a wide range of solutions products and services. Today, Marico’s turnover largely comes from brands across products and services in the area of Beauty and Wellness. At Marico, we have a working atmosphere that is always open and experimentative from our inception. The existence of an open environment fosters the exchange of ideas and views across the organization, facilitating the flow of information. Members do not see the need to wait for a forum to express their opinions. Members have space for diversity of opinions and points of views, not with standing the person’s position in the company. Marico holds a leadership position in the Indian FMCG space. Marico’s Products and Services in Hair care, Skin Care and Healthy Foods reach out to more than 20 countries in the Middle East, Asian sub-continent, Australia and USA. The company generated a turnover of about Rs. 19.1 billion (about USD 477 Million) during 2007-08 Marico markets well-known brand Saffola, Kaya, Sundari and Fiancee to name few, most of which enjoy leadership positions with significant market shares in respective categories. Marico is present in the Skin Care Solutions segment through Kaya Skin Clinics (65 clinics in India and The Middle East) and Weight Management segment through Kaya Life (3 clinics in India). Marico is a branded player in Beauty and Wellness solutions. The company’s key management strategies are built around differentiation and a way of thinking called ‘Uncommon Sense’. Marico Limited, a public company head quartered in Mumbai, India, was incorporated in 1988.It manufactures and sells consumer products such as hair care products, skin care products, food products, etc., in both domestic and international markets. It operate under three business lines -Consumer Products, Aesthetics Services and Global Ayurvedics. The company manufactures consumer products under brands such as Parachute, Sweekar Saffola, Revive, Sil Jam, Mealmaker, Silknshine, Shanti and Mediker. Marico’s subsidiary, Kaya Skin Care Limited, offers aesthetics services and products such as enhancement services, problem solution services, anti-aging services, skin lightening products, soothing gels, revitalising tonics, skin repair complexes, etc. The company’s joint venture with Sundari specialises in Ayurvedic skin care products. Marico has seven production units in India, one each in Goa, Kanjikode, Pondicherry, Daman, Jalgaon, Saswad and Dehradun. It also has one consumer products manufacturing unit in Mouchak, Bangladesh.The company’s international offices are situated in Dubai (U.A.E. ), Kathmandu (Nepal), Dhaka (Bangladesh) and Los Angeles (US). Kaya Skin Care Limited has 42 clinics across 14 cities in India and 3 clinics in the Raeford the financial year ending 31 March 2006 (FY06), Marico Limited reported consolidated revenues of US$ 250 million. Over the last five years, the company’s revenues and profits have grown at a CAGR of 13 per cent and 15 per cent ,respectively. It has 40 nearly 1,300 employees worldwide. In September 2006, Marico was rated among the top 10 Indian marketers by Business. Marico Bangladesh Limited other natural substances and the underlying science of hair care and skin care. They shall make available brands that contribute to healthy living through, both products drawn from agriculture offered in natural or processed forms, and services. They shall develop, in parts of the world beyond the Indian Subcontinent, a franchise for our branded products and services. They shall aim to be a leader in each of our businesses through heightened sensitivity to consumer needs, setting up of new standard sin the delivery and quality of products and services and processes of continuous learning and improvement. They shall share our prosperity amongst members, share holders and associates, who contribute in improving our equity and market value. We shall acquire the stature of a friendly corporate citizen, contributing to the betterment of neighborhood communities, where we are significantly present. Marico’s business model is based on focused growth across all its brands and territories driven by continuously improving value propositions to consumers, market expansion and widening of retailer each. Marico aims to be the leader in each of the businesses; by heightened sensitivity to consumer needs, setting new standards in the delivery and quality of products and services through processes of continuous learning and improvement. The model ensures that Marico. Parachute Advanced coconut hair oil from Marico has been made especially keeping in mind the needs of hair. Parachute Advanced contains essential oils of ylang-ylang to give it a rich and deep fragrance. It penetrates the hair roots better than other hair oils, strengthening the hair from within .Parachute Advanced coconut hair oil is for the all-aware young Indian woman who is demanding as she knows that there are a slew of other hair care products available to her. She is aware of the benefits of using hair oil and the role it plays in maintaining her hair healthy and well nourished. The product is a direct result of consumer needs. Parachute Advanced is coconut hair oil with a rich and deep fragrance. It is also lighter than other coconut oils, which makes it ideal for the young, appearance conscious consumer. With regular use of Parachute Advanced, hair strength is known to increase by up to 16%. What’s more, when applied pre-wash, Parachute Advanced reduces protein loss up to 28% and restores the health of hair.It is available in stores across India in three variants – 80 ml, 170 ml and 300 ml packs at Rs 27/-, Rs 48/- and Rs 80/- respectively. Camelia comes in three variants and is enriched with Vitamin E, which keeps your skin looking great. It conditions, nourishes and protects the skin, leaving it soft ,smooth and healthy. Beliphool is best known for its delicate and sweet, soothing fragrance, which helps to calm the mind and induce relaxation. The gentle fragrance makes you feel fresh and confident, all-day long. The hydrating, nourishing and astringent properties of Cucumber are a beauty secret for the skin. Regular use of Camelia Cucumber prevents dryness of the face and provides for a smooth toning of the skin. The end-result is fresh and happier looking skin. Rose is an all-time favorite to enhance a woman’s natural beauty. Camelia Rose is formulated with rose extracts. It not only nourishes and comforts the skin but also surrounds you with the exquisite fragrance of rose. In October 2005, Marico Bangladesh acquired the brand Aromatic from Aromatic Cosmetics Ltd. The brand was re-launched as Aromatic Gold in October 2006 and having been on a steady growth path since then. It has natural and traditional ingredients and is available in four variants – Turmeric, Rose, Lemon and Neem. Available in a modern and attractive packaging, the brand today stands for modern beauty with traditional values. The product is designed to represent the concept of balanced modernity. The products are a perfect blend of time tested natural ingredients and milk cream. The blend of turmeric and pure milk cream helps to enhance skin complexion. The Rose variant has all the natural goodness of rose water and milk cream, which makes your skin clean and fresh. Being a natural cleanser, rose water nourishes and protects your skin. The astringent properties of lemon extracts act as a natural cleanser and toner for oily skin. Along with that, its fresh aroma helps to uplift the spirit and soothe the nerves. MUMBAI: Wonder how many remember the popular the ad with the mom’s love for daughter theme in which the daughter signs off saying `Parachute Naariyal Tel, Ting tong’! Indeed, Marico’s flagship Coconut Oil brand, Parachute has come a long way ever since it acquired the brand from its parent Bombay Oil Mills in 1992. Now Parachute along with the other two acquired brands of Marico, Nihar and Oil of Malabar command a market share of 56 percent in India’s organized coconut oil segment.. Thanks to Marico’s efforts, the branded coconut oil segment now has a market penetration of 90% in a Rs 14 bn market. Another Rs 7 bn is accounted for by the unorganized segment. In tune with the changing demographic profile, growth in retailing and rising disposable incomes Marico launched a slew of new personal care products to appeal to the new young professional thereby reducing its dependence on the flagship product from 75% in 1990’s to 40 percent as of now, according to an analysis by PINC Research, Mumbai. “The value-added hair oils market in India is estimated at Rs18bn with an annual growth rate of 14-15%. Marico is present in this market with its range consisting of Hair & Care, Parachute Jasmine, Parachute Advansed, Shanti Badam Amla and Nihar. This range recorded a volume growth of 16% in FY’08 led by Shanti Badam Amla.” Parachute After shower Hair Cream garnered an impressive 28% market share within 2 months of its launch in Mumbai on Mar’05 furthermore capturing a current 42% share of the hair-creams market in India. Marico’s share in the male grooming segment including gels is 21%. Parachute was largely a success of branding a commodity on `purity’ value, the value-added coconut oils largely depended on the desire of the younger generation for personal grooming and appearance. The purity was reinforced by careful packaging and communication. The brand was established emphasizing Caring and Mother – Daughter. Marico also launched a brand in the functional foods food category—Saffola oil on the preventive platform and Sweekar sunflower oil. It also launched the Saffola cholesterol management and Saffola diabetes management atta mixes. It would be further exploring the health foods domain for new launches. After entrenching themselves in India market, Marico has already made inroads into Middle East, Bangladesh, Egypt and South Africa. It owns a wholly owned subsidiary in Bangladesh where coconut oil is sold under Parachute brand. In addition, Marico Bangladesh sells soaps through the acquisition of Camelia and Aromatic in 2005. Recently, Marico has launched the concept of branded hair and skin care clinics in India and abroad. Branded as Kaya Skin Clinic, so far Marico has open 62 clinics in India and 10 in the Middle East. The hair care and skin care business of Marico is carried out through a chain of clinics under the brand name of Kaya Skin Clinic. At present, there are a total of 72 clinics with 62 in India and 10 in the Middle East. Among the 72 clinics, 7 were added recently in FY09 and a further 8 more new clinics are expected by the end of the year bringing the total number of new clinics in FY09 to 15. Marico targets to open 15 new clinics every year in cities it has already established presence and move on to new cities after saturating the demand in existing cities. A newly launched Kaya skin clinic is generally expected to break even in the 12th month of operations. Marico is expected to roll out its Maha Thanda brand in March 2009 which is in the cooling hair oil segment. It was launched in Bihar recently but its performance was not satisfactory, according to reports. The cooling hair market in India is estimated to be Rs4bn with an annual growth rate of 20%. The company will have to face stiff competition from Emami’s Himani Navratna tail which currently dominates the cooling oil market with a 55% market share, PINC Research said .Based in Mumbai, the company has a distribution network of over 2.5 mn outlets in India and overseas, with a reach spanning 24 countries. “Marico has emerged as the leading Indian FMCG company with the ability to explore untapped opportunities through inorganic growth. The company’s ability to establish itself in a differentiated space in several consumer categories has set it apart from the other FMCG companies. In addition, it has succeeded in innovating brand extensions and new product launches,” PINC Research said. The Indian Skin care solutions business is growing fast with increased awareness demand for cosmetic enhancement. With advancements in medical technology, safe and effective procedures are available that enhance the look and feel of the skin. Kaya Skin Clinic offers scientific, unisex dermatological procedures most of them using US FDA approved technology in an environment that is serene and Zen-like. Kaya thus offers an ideal combination of aesthetic and clinical care. ‘Kaya’ was an entrepreneurial leap of faith marking Marico’s entry into skin care solutions business. It was a true reflection of uncommon sense for a company in hair care products to move, instead of merely logical product extensions, straight into skin care services. It attempted to leverage Marico’s strengths in the Personal Care business and in-depth understanding of the needs of the Indian consumer. Kaya Limited is now recognized as a pioneer in skin care and has become a benchmark for efficacy and client care. In just over 4 years, Kaya now spans 57 Skin Clinics in 20 Indian cities, in addition to the 9 in Middle East. Over 350,000 delighted customers now pledge their trust in Kaya. Kaya Limited seeks to create a differentiation as a corporate service provider offering safe, efficacious and credible Skin Care services range through its Skin Clinics at multiple locations. This would be in contrast with the large number of small ‘singular’ clinics currently present in this segment. Kaya targets high-end customers in Sec A-1 and A-2 with age group of 18-50 years across metros and mini metros in the country. The objective is to provide result-oriented, personalized, non-surgical skin solutions in serene Zen environment. With In-clinic workshops, Radio Buzz, Press Activities, sophisticated TV and print advertising, new launches like the Bridal packages and Meso Glow, Kaya has re-defined the marketing approach. All services at Kaya begin with a ‘skins cription’ – an in-depth analysis of a client’s skin and a treatment plan customized to each skin type prescribed by a Kaya Skin Advisory (KSA) certified dermatologist. All the services offered at Kaya Skin Clinic are designed and supervised by a distinguished team of 100 dermatologists and carried out by certified skin practitioners, each with more than 300 hours of training. Mediker is a brand for treating lice and a market leader in its category. Mediker, a three-decade-old brand was acquired by Marico from Procter & Gamble, in July 1999, in the shampoo format. Lice problem is a very common problem among girl children in the age group of 5 – 12 years. A child can go through physical, mental and psychological problems due to lice. Problems like anemia, pediculosis, lack of concentration, bleeding through excessive scratching, rejection, social embarrassment etc. can add to the child’s growing up pains. Mediker is an easy painless solution, which helps the mother tackle this problem. The brand has caught on, not just in the urban sections of India but also the rural. Mediker today has three products in its portfolio: Mediker Anti Lice treatment, Mediker Anti Lice Oil and Mediker Plus Anti Lice Oil. In its first avtaar, Mediker pioneered the switch from the traditional lice comb, which is painful to use, to an easy and effective way of treating lice using shampoo. Marico recognized a consumer need and also launched ‘Mediker Anti Lice Oil’ to provide an alternative to a different consumer segment who is more comfortable with the hair oil format. Mediker Anti-Lice Oil, or simply Mediker Oil, contains Coconut oil with Neem extracts and Camphor that effectively fight the problem of lice. The product was nationally launched in December 2002. Mediker Plus Anti-Lice Oil was launched specifically in the Southern markets in February 2005, as the South Indian consumer was looking for an alternative to Mediker Anti-Lice Shampoo. Success of the Mediker brand is the result of constant innovation by the R&D team, consumer-centric communication and excellent distribution. Mediker now symbolizes ‘Freedom of Childhood’ enabling children to enjoy the childhood pleasures and empowering the mother with the solution to tackle this menace. Mediker is committed to educating the consumer about the lice menace and problems that children can face therefore. To this end Mediker not only conducts awareness campaigns in the media, but also undertakes activation programs in small towns, school contact programs and PR initiatives across. The focus of the company across all the products was on health and wellness and it was this focus that the company used to differentiate itself from the competition. Let’s see the example of Saffola and Kaya skin care clinics. 1. Saffola: It was one of the first brands in the country to equate health consciousness with cooking oil. It leveraged on heart problems and positioned itself as an edible oil which lowered the risk of a heart attack by reducing In order to stay in tune with the changing tastes and preferences of the customer, Saffola also came in three variants, Saffola Gold, New Saffola ,and Saffola tasty brand. The Saffola brand was extended to salt and sugar management and cholesterol management products. They were established by Marico to take advantage of the opportunities presented by the Indian beauty industry. They filled a void in the country for skin clinics and helped make people look good. It had also expanded its services through ‘Skin Zones’, which were information kiosks located at shopping malls that offered skin care counseling. Kaya’s success was due to the personalization of services for the customer and the holist solutions offered. It’s popular services were laser hair reduction, acne scar and pigmentation reduction. It also started selling a range of hypoallergenic products for sensitive skin. Kaya Life was launched to provide holistic weight loss solution. which centered around lifestyle counseling, meal planning, exercises and body shaping. 3. Diversified range of product The product portfolio of the company includes coconut oils, edible oils, hair oils and other hair care products, fabric care products, soaps, baby care products, processed foods and skin care. It manufactures and markets its products under the brand names of Hair Code, Fiancee, Aromatic, Kaya, Caivil, Black Chic, Oil of Malabar, Manjal, Revive,Mediker, Shanti, Nihar, Hair & Care, Sweekar, Saffola and Parachut. Marico always recognized the needs of the market and capitalized on the opportunities, whether it be in the edible oils, skin care, or hair care segment.Let us see the example of Parachute oil. The need for males to look good has never been more important – They are a reflection of the growing confidence of the country as a whole. More and more males in India are realizing the importance of “great looking hair” & want a product that can be used to “style hair daily”. In India, the youth below the age of 25 years, account for 54% of the entire population and find the usage of hair oils to be “messy” & “outdated”. They want more modern formats. Parachute After shower styling gels & creams offer this new age consumer a range of male grooming products that provide the goodness of coconut proteins without the inconveniences of oil and helps them style their hair the way they want to – products that can be used everyday. PAS has brought about a refreshing change in the way male grooming products were perceived. It has extended the natural goodness and trust of parachute into the men’s hair grooming, by making products having the goodness of natural ingredients that make hair softer by providing nourishment and also help styling as opposed to being perceived to be chemical and damaging to hair. Today, AFS styling gels and creams are available in over 2.3 lakh outlets all over the country. This has given a reason for millions of men across the country to go ahead and style on – and create a confident India. Parachute Aftershower Hair Cream – was launched in Mumbai in March 2005, as an experiment. Within 2 months of its launch in Mumbai, it grabbed an impressive 28% market share, which it has increased in its journey to date. It was launched pan India in August 2005 to provide consumers experience of a new age grooming product. Oil of Malabar is premium quality edible grade coconut oil. This brand is one of Marico’s recent acquisitions, having been bought in November 1999. Oil of Malabar, as the name suggests, is positioned on purity – as the oil from the land coconut hair oil. Launched in 1992, the brand has grown in stature to become a national brand. Today, it sells in over fifteen states across India , with a strong rural presence. Ever since its launch, the brand has been known for its quality and was amongst the earliest to launch flexi/pouch packs to tap the vast rural market. Oil of Malabar’s consumer franchise spans women of all age groups. As mentioned earlier, the brand has a strong rural presence. Saffola enters into the Functional Food category with specialized products like Saffola Functional Food™** which helps in Cholesterol Management. They are mainly dietary components that may provide various health benefits. Saffola Functional Food for Cholesterol Management is one of the main products in the atta mix category that helps manage cholesterol with daily Rotis. Saffola Functional Food™** which helps in Cholesterol Management is 100% vegetarian with Oats, Barley, Fiber and Soya protein. Being natural, it can also be consumed by the whole family. Research has proven that Saffola Functional Food™** which helps in Cholesterol Management reduces bad cholesterol by up to 29% in 3 months*, if used as specified. But to manage cholesterol effectively, the importance of a healthy lifestyle cannot be over emphasized. A short jog, a quick walk or even a few sit-ups at home coupled with a healthy food pattern could go a long way in keeping your cholesterol, and your worry lines, at bay. All you need to do is add the 500 g pack to 2 kg atta before you make rotis. (For best results consume approximately 6 rotis per person per day). Saffola Functional Food™** which helps in Cholesterol Management leaves the bitterness out, and your rotis remain as tasty as they have always been. It can be used for other preparations like Khakhra, Idli, Dosa, Thepla etc. Saffola, positioned on the ‘good for Heart’ platform was small in volume terms, till 1993, when a series of hard-hitting ads took the brand to new heights. Awarded the ‘Brand of the Year’ in 1993 and again recently in 2005 by The Advertising Club of Bombay, the brand has continuously modernized and upgraded itself. A new aesthetically defined shape was launched in 1998 ensuring glug-free pouring. The brand was repositioned as ‘Heart of a Healthy Family’ and extended to a value added edible oil and salt. A guide for heart carers as well as proactive health seekers on various aspects of dietary health. Provides a free personalized diet plan service, which anyone can use to get a diet as per his or her individual health requirements. Saffola also introduced Dial A Dietician service in 2004 With its team of highly qualified dieticians this service provides everyone free and personalized diet advice and tips on maintaining a regular health regime., by simply dialing the number 1800 22 2929 from anywhere in the country. The key to Saffola’s growth has been its impactful advertising and the innovative marketing techniques, helping consumers experience a full health care service, not just a product. The ‘Saffola Healthy Heart Foundation’ was set up to provide a whole lot of additional services to enable consumers to take the required steps to improve their lives. There was a certain misconception in the minds of people who took heart attack as first symptom of ill-heart health. The corrective action in their lives happened post that. Saffola in its endeavor has used several platforms to highlight the risk factors concerning heart care that if not taken cared off could worsen to an heart attack. The new Dil Ko Rakhiye Jawaan campaign brings to light the risk factors like Obesity, stress, hypertension etc prevalent in our daily life that could act as trigger points. Every year on World Heart Day, Saffola conducts several events that highlight the preventive steps that can be taken for healthy heart. Also all round the year various on ground events like Health runs and Health check up camps have been organized for the same. A sense of emptiness envelops us as we walk past the coffee shop to get to the Ming Yang restaurant on the first floor of Taj Lands End at Bandra. The coffee shop, which is usually full of people, doesn’t have a soul even at lunchtime, except for a couple of stewards performing an unfamiliar role — waiting for guests, write Shyamal Majumdar and Sapna Agarwal.Ming Yang also seems to be as lonely as the sole steamer on the sea outside — barely a couple of tables are occupied. We are slightly late as our car was stopped 100 meters away from the hotel and we were asked to put our mobile phones and bags on a tray for screening. For now, at least, life in Mumbai is going to be very different from what we’ve been used to.Harsh Charandas Mariwala was clearly aware of the new security bandobast at the hotel, which is just a two-minute drive from his office, and had come in earlier. We order fresh lime soda and Mariwala refers to the mass anger against politicians. He also talks about how companies such as Marico are seriously looking at including succession planning in its disaster management policy.”We call it a drop-dead succession plan. The possibility of the entire leadership team being exposed to grave danger at one time may be remote. But terror attacks like these show companies have to address such uncomfortable issues”, the Marico CMD says, quickly adding that life has to go on after all. We take the cue and ask him about Marico’s remarkable transition from a localised oil manufacturer to a health and wellness powerhouse. The waiter serves steamed dimsums. Mariwala had moved out of the six-decade-old Bombay Oils, a family-run commodity business, in the early ’90s to set up Marico, which till a few years ago was dependent on just two brands — Parachute and Saffola — for a lion’s share of profits. “I figured out quite early in life that I love and know how to make money. So I worked hard to take rward, innovation is the key and that’s possible only if you have talented people aroundParachute beyond Maharashtra. But those were baby steps. If you have to take a giant leap fo you,” he says. An open office culture (everyone in his office calls him Harsh) was the first step. Over 250 MBAs from top-notch institutes now work with him and Mariwala — who lacks an MBA degree — realised he had to “upgrade (his) knowledge base” if he had to speak their language. He had done courses in IMD, Switzerland, is a regular participant at C K Prahlad’s CEO Forums, and reads all five business dailies and at least four business magazines.Since innovation is the key to the success of any FMCG brand, the CMD himself attends numerous sessions with target customers (from doctors for endorsing Saffola to barbers for Parachute after-shower cream) just to understand their needs. The tall, balding Mariwala is clearly an unpretentious industrialist, a man who is not overtly concerned about the accoutrements of wealth. He’s dressed casually in a shirt and trousers.As the main course arrives — “burnt” garlic rice, vegetables in black bean soya sauce and stir fried Kenya beans — Mariwala says he would classify the changes that the company is going through in four different buckets: Transition from oils to value-added FMCG products (Saffola Gold, for example); from a purely Indian firm to a global entity (the company has huge operations in Bangladesh and has made a string of acquisitions in South Africa and Egypt); from low-value to high value-added products (Saffola atta mixes and Parachute gels); and from being only in the products space to becoming a solutions player (the highly successful Kaya clinics with their own range of skin care products).One of the key reasons for Marico’s success (over Rs 1,900 crore — Rs 19 billion) turnover in 2007-08 and growing at over 20 per cent annually) is its constant ability to pick its spots in the crowded segment. For instance, edible oil is a huge category, but Marico occupies a small, high-end segment selling oil supposed to be good for the heart. This ensures higher margins and avoiding the chance of getting caught in a price war. “I can’t fight with MNCs in their primary categories. So what is a fringe category for them is the main category for us. I want to be the market leader in whatever category I am in. The trick is to identify areas where MNCs won’t enter,” Mariwala says.That explains Marico’s entry into the anti-lice shampoo segment where MNC presence is negligible. Even in South Africa, the company has concentrated on the ethnic hair category, which is growing at a scorching pace. That’s also the reason why Marico has quickly exited the baby oil category where MNCs have a dominant presence. world, through branded Beauty & Wellness products and solutions. We shall offer brands that enhance the appeal and nourishment of hair and skin through distinctive products and services based on the goodness of coconut, other natural substances and the underlying science of hair care and skin care. We shall make available brands that contribute to healthy living, through, both products drawn from agriculture offered in natural or processed forms, and services. We shall develop, in parts of the world beyond the Indian Subcontinent, a franchise for our branded products and services. We shall aim to be a leader in each of our businesses through heightened sensitivity to consumer needs, setting up of new standards in the delivery and quality of products and services and processes of continuous learning and improvement. We shall share our prosperity amongst members, shareholders and associates, who contribute in improving our equity and market value. We shall acquire the stature of a friendly corporate citizen, contributing to the betterment of neighbourhood communities, where we are significantly present. At Marico, we have a We commit ourselves to improving the quality of people’s lives in several parts of the working atmosphere that is always open and experimentative from our inception. The existence of an open environment fosters the exchange of ideas and views across the organization, facilitating the flow of information. Members do not see the need to wait for a forum to express their opinions. Members have space for diversity of opinions and points of views, not withstanding the person’s position in the organization. SWOT analysis involves an examination of a firm’s strength, weakness opportunities, and threats. It helps to evaluate firm’s strategies to exploit its competitive advantages or defend against its weakness. Strength and weakness involve identifying the firm’s internal abilities or lack thereof. Opportunities and threat includes external situation such as competitive forces discovery and development of new technologies, government regulations and domestic and international economic trends.The strengths of a company give the firm a comparative advantage in the market place. Perceived strength can include good customer service or strong financial resources. To remain strength they must continue to be developed, maintained and defended through prudent capital investment polices. Weakness result when competitors have potentially exploitable advantages over the firm. Once weaknesses are identified, the firm can select strategies to mitigate or correct the weakness. Opportunities or environmental factors that favor the firm can include a growing market for the firm’s products, shrinking competition favorable exchange rate shifts a financial community that has confidence in the outlook for the industry or firm or identification of a new market or product segment. Threats are environmental factors that can hinder the firm in achieving its goals. It would include a slowing domestic economy , additional government regulation an increase in industry competition, threat of entry , buyers or suppliers, seeking to increase their bargaining power or new technology that can absolute the industry’ s product. Now we discussed the SWOT analysis on the concept of our thesis paper of MARICO Company . At first we describe about strength of the company and so on. Brand image: Firstly, MARICO has stayed in the local market in Bangladesh for many years. So they are so experienced and stationed in people’s mind deeply. Everyone in Bangladesh is aware of MARICO. MARICO portrays different kinds of products which are already exist in the market and people like it. So there is strong brand preference for MARICO over other substitutes in the mind of a number of consumers. Superior quality control measures: MARICO maintain and control the superior quality of the product. It is the policy of agricultural marketing company limited to market products of consistent quality at home and abroad as per would standards produced by in accordance with good manufacturing practices. Integrity: MARICO believes success depends upon the quality and value of their products by providing a safe, wholesome economically efficient and a healthy environment for their customers and by providing a fair return to their investors while maintaining the highest standards of integrity. Market share: Because of the variety of the product MARICO leads in the share market and increasing the market share. Customer satisfaction: Whenever MARICO exist in the market, that time customer consumed their product. They launch different kinds of product and the price of the product is measurable. So the customer satisfied with the MARICO product. Limited decision taking capacity: The MARICO Company is existing under the rules and regulation of agricultural marketing company limited. So MARICO can not take any instant decision to adjust the sudden market changes. Price disadvantage: Sometime price of the product may be varying because of raw material. Because the price of the raw material which is also the key ingredient of their product line, is comparatively expensive than that of their competitors in Bangladesh especially the emerging ones. So this makes them sell their products at a higher cost than most of their competitors. Lowest per capita consumption: Bangladesh has the lowest per capita consumption in the entire world. So upper class and middle class can bear the MARICO product but the lower class people can not bear it. Lack of geographical coverage: Sometime the MARICO product can not reach in the definite geographical area because of lack of communication. The agriculture sector is the largest contributor to GDP. So MARICO produced canned fruit and vegetables, mushrooms etc and it is the part of agriculture. So it’s an opportunity to contribute to GDP. The crop production system is highly labor intensive and there is an abundance of labor in the country. Through the production of the MARICO product the employment opportunity are increased in Bangladesh. Through the production of the good product there is a great opportunity to attract the foreign investors. Company can develop the effective distribution system. MARICO Company can make survey to make effective product. MARICO mainly produced the agro- based product and most of the products are perishable. So it has to be preserved system. Reduces the customer due to low quality of the product. Marico is a leading Indian group providing consumer products and services in the areas of Health and Beauty based in Mumbai. During 2009-10, the company generated a Turnover of about Rs.26.6 billion (USD 600 Million) , in respect of its food, hair care and skin care related activities. Marico’s own manufacturing facilities are located at Goa, Kanjikode, Jalgaon, Saswad, Pondicherry, Dehradun and Daman.In Bangladesh, Marico operates through Marico Bangladesh Limited, a wholly owned subsidiary Manufacturing facility at Mouchak, near Gazipur.The organization holds a number of brands viz. Parachute, Saffola, Sweekar, Hair&Care, Nihar, Shanti, Mediker, Revive, Manjal, Kaya, Aromatic, Fiancee, HairCode, Caivil, Code 10 and Black Chic. Marico’s brands and their extensions occupy leadership positions with significant market shares in a number of health and beauty areas. In addition to being a producer of consumer products the organization also operates Kaya Skin Clinic (of which (as of 2010) 87 exist in India, 13 in UAE) and 1 in Bangladesh. Marico recently acquired the aesthetics business, of the Singapore based Derma Rx Asia Pacific Pte. Ltd. Harsh Mariwala is the Chairman and MD of this organization. The company has 3 divisions the Consumer Products Group(CPB), The International Business Group and Kaya. CPB is headed by Saugata Gupta. The company in recent years has been known for its foreign acquisitions in countries. Parachute Advanced: Parachute Advanced contains essential oils of ylang-ylang to give it a rich and deep fragrance. It is for the all-aware young Indian woman who is demanding, is aware of the benefits of using hair oil and the role it plays in maintaining her healthy and well nourished hair. It is lighter than other coconut oils & with regular use of Parachute Advanced, hair strength is known to increase by up to 16%.Innovations from Parachute Advanced: Personal Champi – It is a combination pack consisting of a Parachute Advanced 300 ml bottle and a head massager. Hot Champi – It consists of hair oil warmer and a bottle of Parachute Advanced coconut hair oil. Parachute Advanced Re-vitalizing Hot Oil – This oil is enriched with a special warming oil which keeps it hot from inside. It gives extra care during winter & does not freeze in winters. Parachute Aftershower – Parachute Aftershower styling gels & creams offer this new age consumer a range of male grooming productsParachute Therapie – A Therapie to reduce hairfall in 45 days. Parachute Advanced Starz – Parachute Advanced Stars is a range of hair care products specially created between 3-10 years. This range includes Parachute Stark Gentle Shampoo, Parachute Stark Non-Sticky Hair Oil and Parachute Advanced Stark Nourishing Cream Gel. It advertises through Televison, Print ,Outdoor ,Digital. The brand has been endorsed by celebrities like Deepika Padukone, Diya Mirza, Yuvraj, Sreesanth. Advertising is heavy before Holi & during winters. Popular & effective campaigns like ‘1 hour champi kiya’ (have you done an oil head massage 1 hour before shampooing) help remind people about the benefits of oiling before hairwash. Parachute also uses van campaigns, Haats in rural areas to promote the brand. Sales Promotions like “20% extra” was made on the 200ml pack. 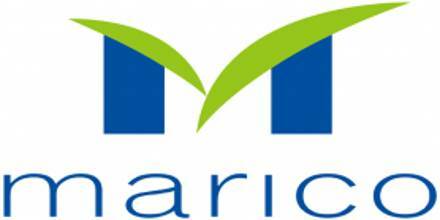 Marico is a rewarded company of Bangladesh. Marketing is key to the success of any FMCG company. However, implementing a marketing strategy needs the support of technology and at Marico, marketing and technology work closely to ensure this. Today, technology has to understand and balance three things to develop products and technologies for a marketing strategy. So marketing strategies of this company are satisfactory. The major products of the company are hair oil, skin care, beauty care, health care, food item etc. Their pricing policy is customer satisfaction basis. Distribution strategy follows good use of sellers and distributors all over Bangladesh. Promotional measures are taken through free sample distribution, concession price, discount and commission, participation and exhibition and post sale service. The company has goodwill in the market. Sales volume is in high level. Good earnings and profitability are there. Company management is highly efficient and cooperative. Financial resources are properly managed. Because of democratized management employees are highly motivated to work. In today’s business market Marico BD lead a very good financial position in Bangladesh. There equity position is good. Marketing effectiveness is satisfactory. Marketing and management employees are work like a chain. A very efficient audit system is there. Company’s employees are trained for there specific job Financial analysis, marketing information system, data collection all are computerized. The pricing policy of Marico LTD. is very attractive to the customers as a result their maximum products are sold out before product. Legal side of this company is structured to face any kind of problems. But the logistics department is unstructured. For this reason, the company has to bear an extra cost. The raw materials procurement system is not structured, they have no substitute suppliers as a result they face problems for consumer product. Overall position of this company in the consumer market is good enough in this short period of establishment. In this short period they create goodwill in the market and their target is to the number one in this industry. Three months are short time to know everything of a company and it is too difficult to recommend something for the company. Even then I have tried my best to observe the overall position of the company. On the basis of my little knowledge, I may suggest the following recommendations for the smooth & successful operation of their business in a Bangladesh. MARICO is the largest grower and processors in the country. At the time of preparing this we discover various ways of doing financial and business calculations. Such as we did calculation of different ratios and analysis like dupont, sensitivity, valuation, and risk analysis. We also had an idea of forecasting different business risks associated with the firm’s overall financial performance. While doing this, we have to gone through various difficulties. like the annual report in not well-managed, some information relating to their business is not showing the proper projection of sales, profit, and losses. Overall industry information was not available, lack of electricity, hampered at the time of preparing this assignment. After analyzing the financial statement of MARICO . we find out that overall position of the company in an agro based industry is in top position in Bangladesh. Marketing strategy of the company is very effective. Pricing of product is competitive. Distribution channels are organized. There is very demand of their product. Advertising and publicity are perfectly done. Promotional measures are highly satisfactory. They are to compete with low quality product. Still they have strong position in the market. Marketing information system should be developed. Strategic marketing activity should be improved. Marketing research cell should be there. Marketing people should give more training. Marketing cost should be controlled. Sales revenue has to increase. Advertisement should be more effective. More discount and commission has to be given. Marketing mix should be proper managed.